Is AMIE qualification allowed for IAS exam? Minimum percentage required for AMIE? Dear sir. I have completed my diploma in electronics and communication. Now m planning to go for AMIE. After this i want to write IAS. But m confused whether amie qualification is allowed for ias or not. If allowed wt is the minimum percenctage we must obtain in amie. Could you plz help?. What is AMIE? In AMIE how I get admission? Percentage required for passing AMIE papers in section A? Minimum marks required in AMIE to appear in GATE 2015? What is AMIE? How to get admission there? Is there more scope in B.Tech or AMIE? What is the passing marks for AMIE? Is AMIE really helpful in comparison to B.Tech? What is the eligibility criteria to join AMIE? What is the fee structure? Minimum marks required in 12th standard to join AMIE? Can i join AMIE for writing IAS in future? Am I eligible for GATE if done AMIE years back? Is AMIE approved by AICTE? Can i apply for government job after AMIE? How can I apply for AMIE(Civil)? Fee structure of AMIE? Can I do B.Tech part time from AMIE? How to get admission in AMIE? Re: Is AMIE qualification allowed for IAS exam? Minimum percentage required for AMIE? After doing a small research on this I came to a conclusion news which will make you happy because you are eligible for UPSC Exams after completing AMIE. AMIE will be equal to B.E/B.Tech after clearing all the proposed subjects in their time limit. you can get all the opportunities like a B.E holder after completing this. Actually IAS exam needs a 21 years graduate from any discipline from recognized university. So according to this the degree will be AMIE, for sure you will get 21 years right. as Institute is recognized one you will be eligible to write IAS exam. Okay. Now concentrate on your AMIE course and complete it as soon possible. Don't keep any myths in your mind. just concentrate on your goal definitely you are going to reach it. Mean while start preparing for your IAS exam so that it will be easy for you when you actually start the preparation. i am confused whether amie qualification is allowed for ias or not. dear sir i am doing b tech and want to compete IAS plz tell me that how many pecentage is required in b tech to give ias examination . Sir i am doing AMIE section A........SIR,i want to do IES...When i have to start my preperation? sir,i am doing AMIE section A...sir i want to do IES...when i have to start my preperation..? AMIE exam is definately valid for any government exams..And as Aditya436 has said - concentrate on your studies and for amie study hard for it is a very tough but doable non-formal course..It is at par with B.E. or B.Tech..
Re: Is AMIE qualification(passed with 52% marks) allowed for lecture in Govt polytechnic college as per AICTE norms. any govt. university which will have one sem. fee rs 5000/- n dist. learning AMIE..? Without completing Section A and B and getting 5 years experience, you are not awarded AMIE. And, AMIE, being equivalent to BE is the minimum qualification for IES. So, with Section A alone, you cannot apply for IES exam? 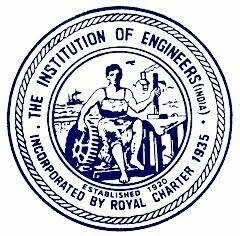 Please help me out with my situation, I have completed the B.E course in E&CE in 2004, however havent not been able to get the degree due to 2 backlog subjects of the lower sems (4th & 5th). I wanted to know if there is any possibility to claim the exemption of entire Section A and directly appear for Section B exam in the E&C branch. Any advise with this regards would be very very helpful. i had passed my 12th with physics , chemistry and bio . after that i did diploma in civil engineering . now i m posted in govt. of rajasthan on the post of JEN . and also doing AMIE . i want to know that can i eligible for IAS exam in future after comleting my AMIE . mail me at ( [email protected]) or call me 08955575907 waiting for your answer reply me as soon as possible . what amie from chemical engg. are eligible for upsc examinatuion. i am a diploma holder in comuter science engineering and now i am persuining my amie. after that i want to write IAS exam. but i am confusion that which subject for IAS i can choose for IAS preparation. I have completed diploma in electronics and telecommunication engineering .can i apply to amie amie in electrical? And suppose after completion my amie in electrical engg.so can i apply to competotion exam?